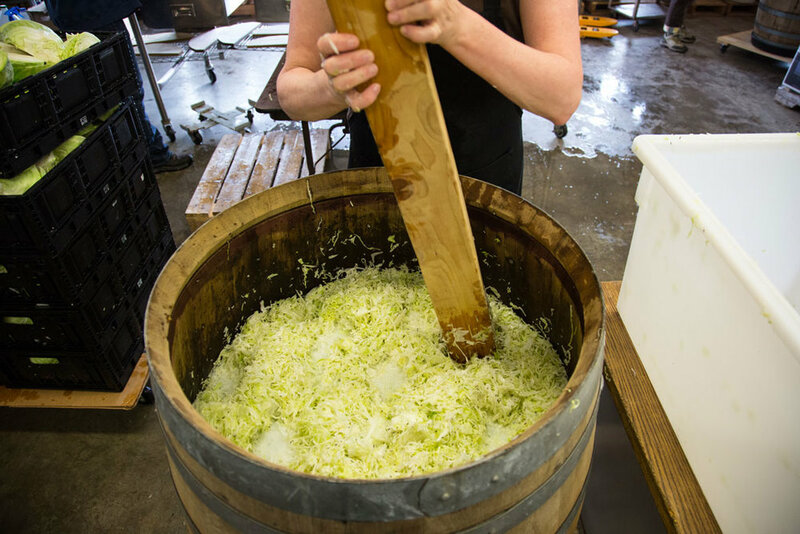 To make a great tasting sauerkraut you need to start with fresh cabbage, organically grown. 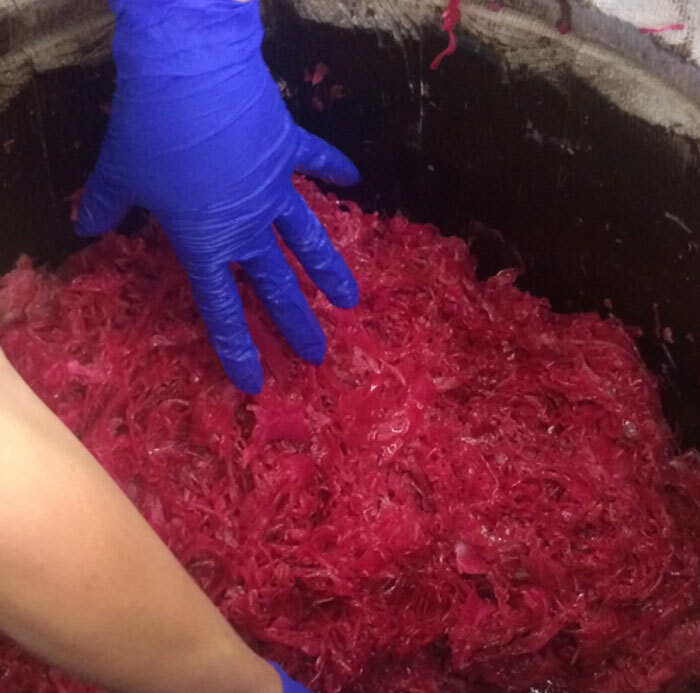 When we shred the cabbage we make a thin cut to achieve a traditional texture and expose more of the cell structure. We mix all the ingredients and pack our oak barrels by hand. 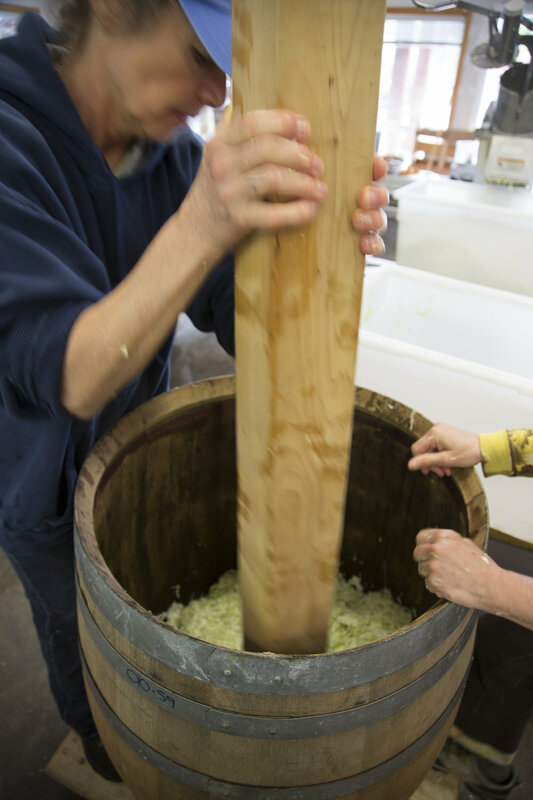 The cabbage ferments for weeks at a controlled temperature. When we decide that a barrel is “done” we move it into our cooler to hold it at its peak of flavor. The result is a great tasting, nutritious sauerkraut. You know you have a great product when your regular customers, stop at your Farmer’s market booth and promote your sauerkrauts to new customers who are sampling for the first time.